The Ultimate Tethering Bundle contains everything you need to create the best possible tethering experience in-studio and on location for both your craft and your client. This setup allows the photographer to see the image on their laptop as well as on a mounted monitor secured to a Low Boy Roller, enabling the photographer and those on set to see images in stunning detail live as they’re shot. Please Note: This kit does NOT include a TetherPro Cable. The Low Boy Roller Stand meets the height requirements of today’s hard working photographers, whether that’s a sitting workstation or a high overhead studio strobe setup. The smooth rolling, 3″ non-marring hardened rubber locking wheels make it easy to move around the studio and its heavy duty, chrome-plated steel and aluminum spring-loaded risers are great for mounting monitors. 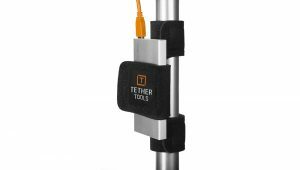 The Pro Tethering Kit is the ideal setup for a professional tethered photography workflow. Take your photography and professional image to the next level by enhancing productivity, improving efficiency, and increasing safety in your workstation. Upgrade to the Pro Tethering Kit if you already own a Starter Tethering Kit or TetherPro Cable. The Rock Solid VESA Studio Monitor Mount for Stands holds monitors up to 80lbs (35.5kgs) and in the Ultimate Tethering Bundle, setup is mounted to the 5/8″(16mm) baby junior pin on the Rock Solid Low Boy Roller. 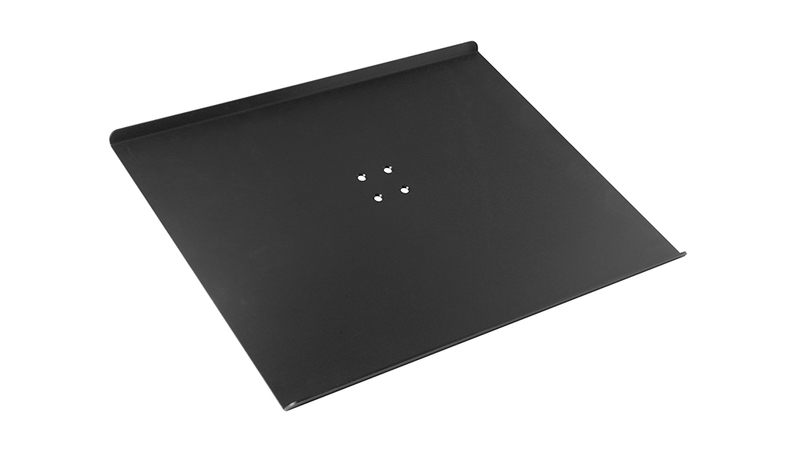 The VESA compliant mount is made of aerospace aluminum and features both a portrait and landscape mounting option so you can easily rotate your monitor to fit your needs. 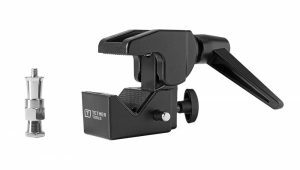 The VESA Studio Monitor Mount for Stands also features dual 5/8″ accessory receptors for adding compatible arms, mounts and accessories to the top of the monitor mount. 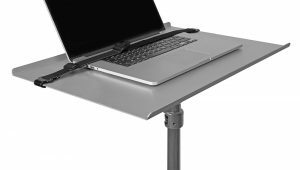 The convenient Tru Vu Techology eliminates monitor movement or sagging and the locking joint allows the VESA Studio Monitor Mount to be folded down for easy and secure transport. 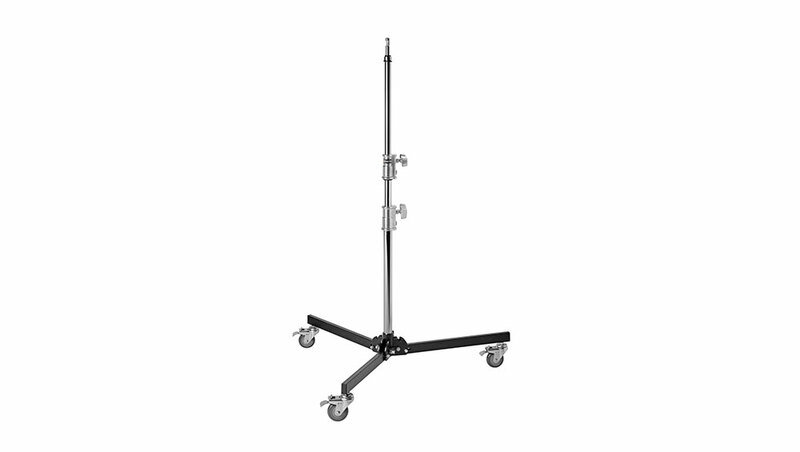 The Rock Solid Low Boy Roller’s smooth rolling, 3″ non-marring hardened rubber locking wheels make it easy to move around the studio and its heavy duty, chrome-plated steel and aluminum spring-loaded risers are great for mounting monitors. Cushioned rubber rings on the risers safeguard your gear from unnecessary bumps and vibration, and the optimal wingspan on the base and locking wheels ensure that this stand will remain stable and upright. Folding legs with locking pins allow for the Low Boy Roller to be setup or folded down in seconds. The Low Boy Roller features all-metal construction and the highest quality manufacturing. 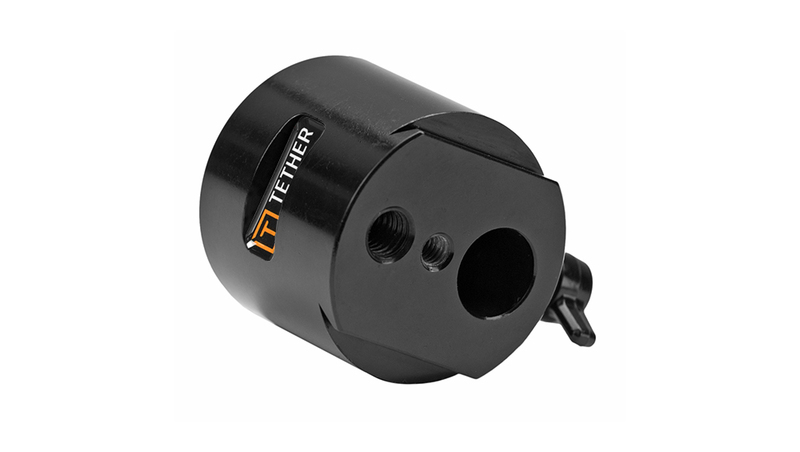 The Rock Solid Master Clamp and Rock Solid Master Side Arm allows you to mount your Tether Table Aero to the column of the Rock Solid Low Boy Roller. The Rock Solid Master Clamp is made of lightweight cast alloy and has a lift ratchet style handle that allows for secure tightening in confined spaces. The Master Side Arm holds gear up to 18lbs (8.2kg) and features two 5/8″ (16mm) dual baby receptors to pair perfectly with the Master Clamp to secure your Tether Table Aero. 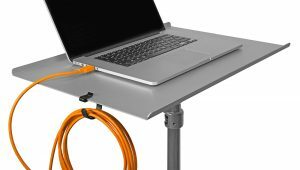 The Tether Table Aero Master provides photographers with a stable, platform for their laptop with plenty of extra room for a mouse, extra lens, and more making it perfect for daily studio use. 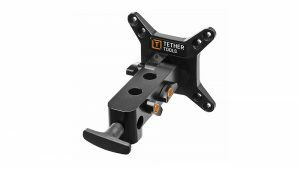 The Tether Table Aero Master attaches easily to virtually any tripod or light stand and is compatible with all standard mounting hardware. In the Ultimate Tethering Bundle setup, the Aero Master mounts to the column of the Rock Solid Low Boy Roller using the Rock Solid Master Clamp and Rock Solid Master Side Arm. Aero ProPad is an easy-to-use, cushioned, non-slip, stain-proof pad that is specially formulated to disperse heat and repel water. 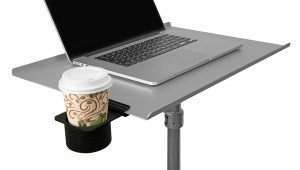 Aero Cup Holder attaches to the Tether Table Aero to hold beverages, small tools or accessories and keep them near your workstation. Aero SecureStrap fastens your laptop computer to your Tether Table Aero, insuring it will stay firmly in place. 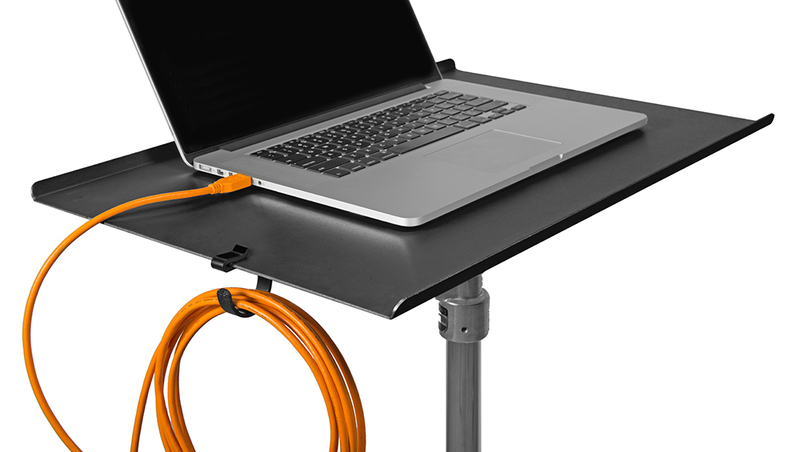 Aero XDC holds external hard drives and frees up space by attaching underneath the tether table. Aero Clip-on Hooks allows you to attach additional items – laptop power adapter, batteries, charger, phone or anything else that’s handy to have nearby during a photo or video shoot – to your tripod or stand. JerkStopper Aero Clip-on Support attaches to any flat edge of the Tether Table Aero and holds the cable securely in place. StrapMoore allows you to attach additional items – laptop power adapter, batteries, charger, phone or anything else that’s handy to have nearby during a photo or video shoot – to your tripod or stand. Combine with the Starter Tethering Kit and Pro Tethering Kit to crate the ultimate mobile tethering workstation.